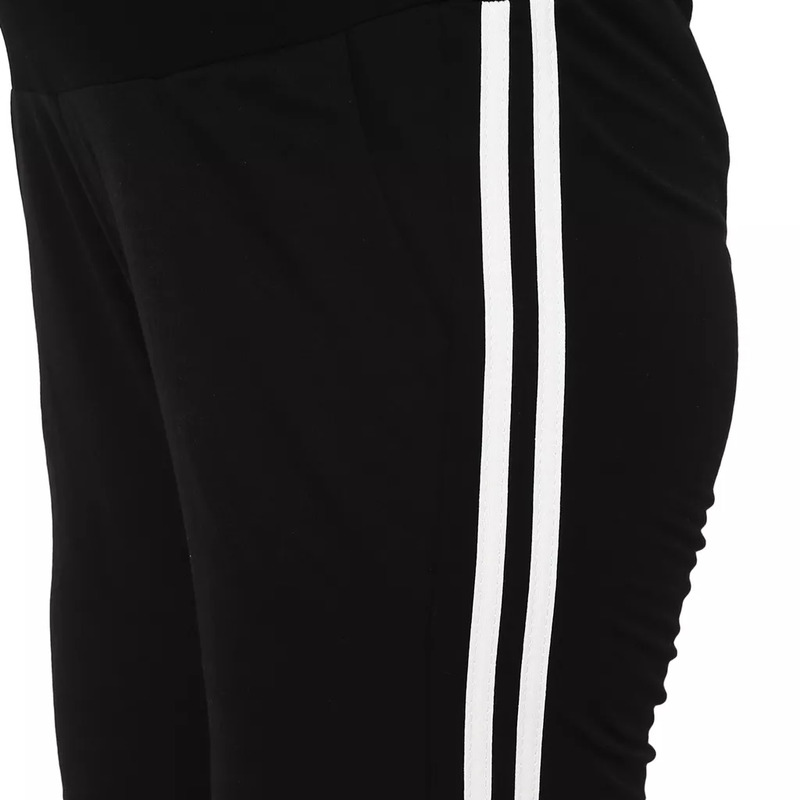 · They come with a Fabpouch, which easily rides over the baby bump holding it snug & fit. 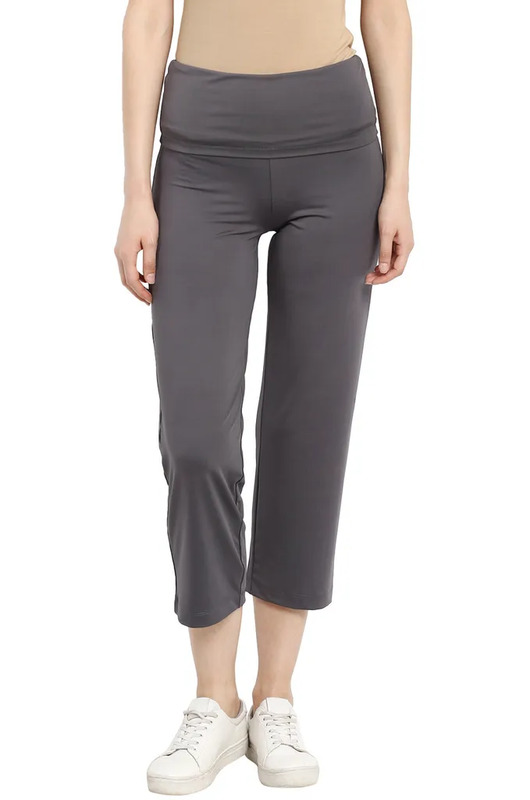 • The Fabpouch can be adjusted for snugness with the help of the smartly designed concealed elastic adjustable waist band. 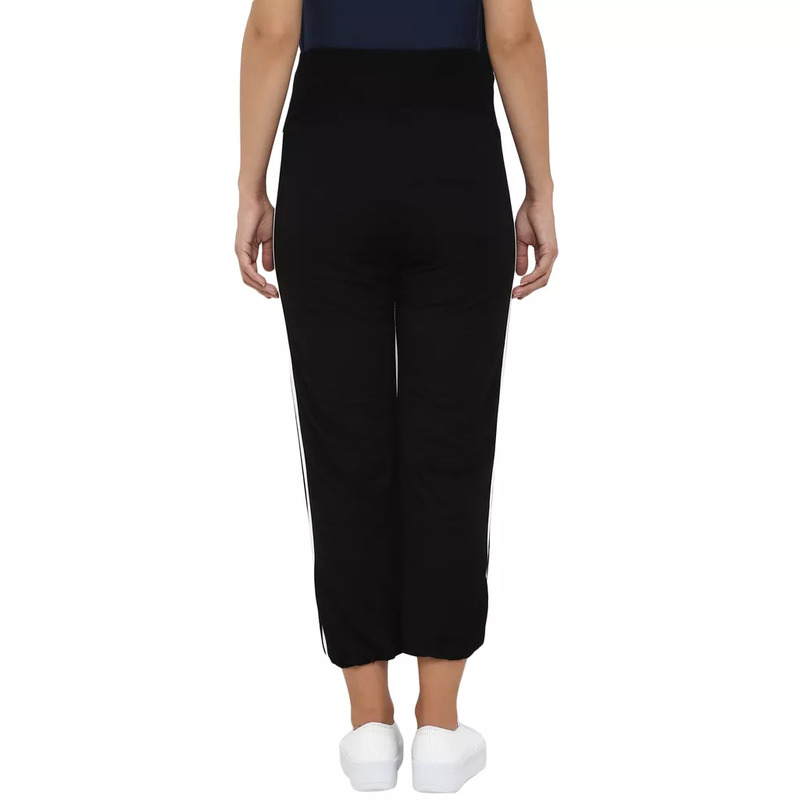 Classic yet stylish. 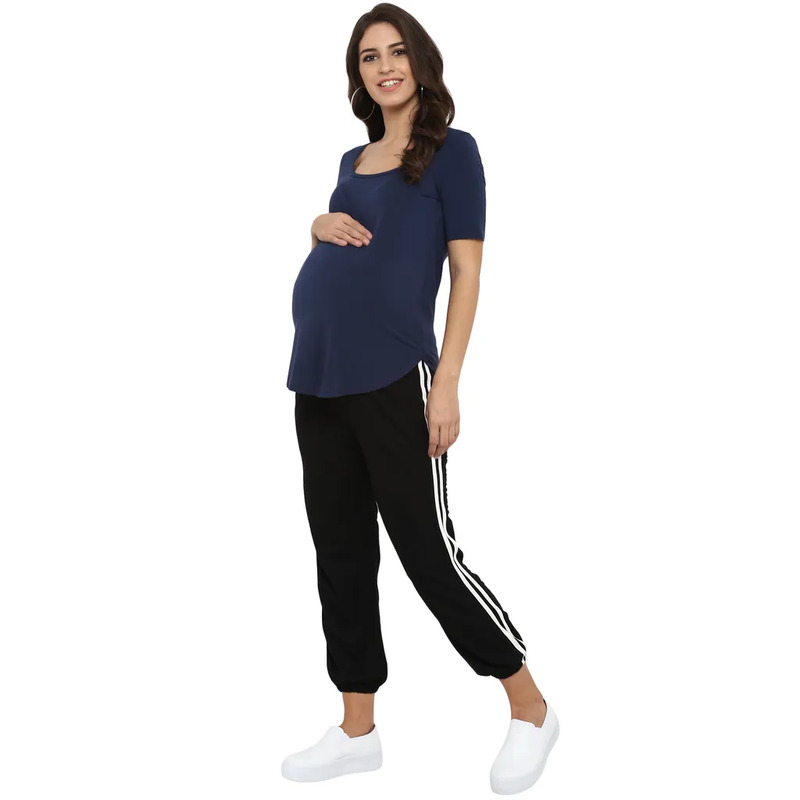 These black joggers for maternity, are the perfect pick for your casual dress-down days without giving up on your maternity style. 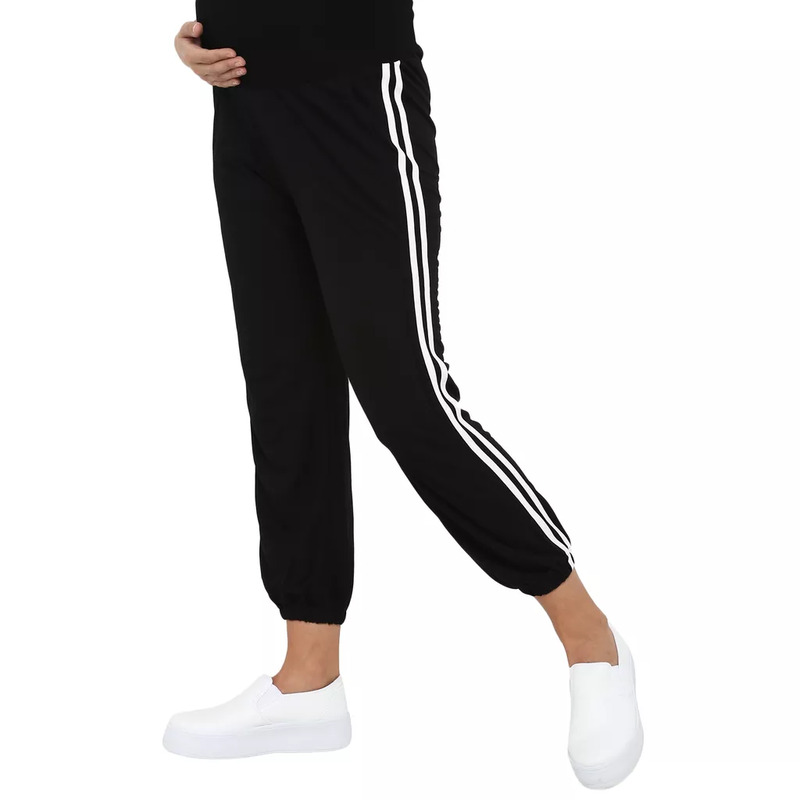 Made in soft stretchable fabric, with ribbed ankle cuffs, bold white stripes down the side leg and a side pocket, these black joggers are oodles of style and you are sure to love carrying your baby around in them. 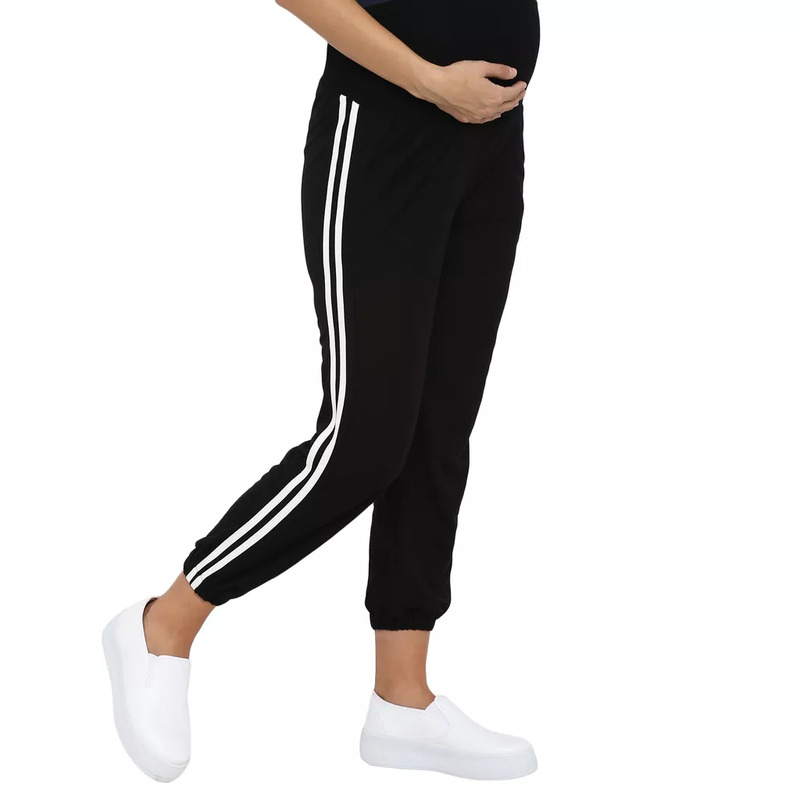 Pair with sneakers for the casual outing or style with comfortable heels for a simple outing and effortlessly up your bump style! !